Brunch time is Brooklyn is where it’s at on the weekends. Wandering through Williamsburg after hitting up the Brooklyn Brewery for an early afternoon tour, my family and I stumbled upon Sweet Chick. A fantastic find, we were as much looking to get out of the pouring rain as we were pumped about finding a great spot to feast. Sweet Chick, to the rescue. It’s American cuisine with a Southern accent. In a cheery mood for afternoon cocktails, we started out with a round of bloody mary drinks. Spicy with an impressive garnish of celery, pepperoncini and a piece of smoked bacon, these were on point. Properly hydrated, next up was choosing some good eats off the brunch menu. 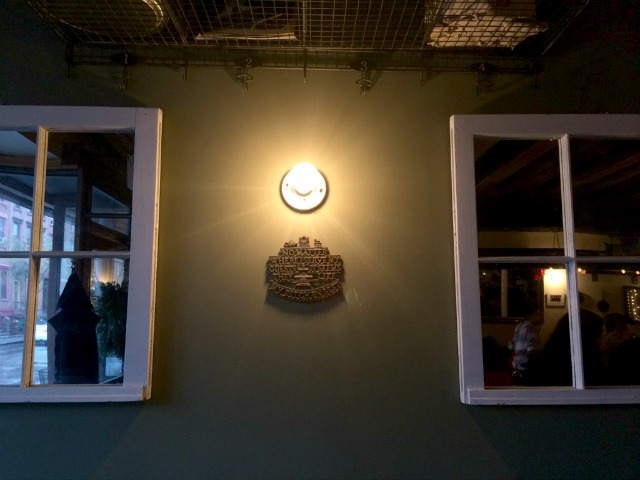 With options like Smoked Pork Hash and Black Bean Cake Scramble… it was tough to decide. 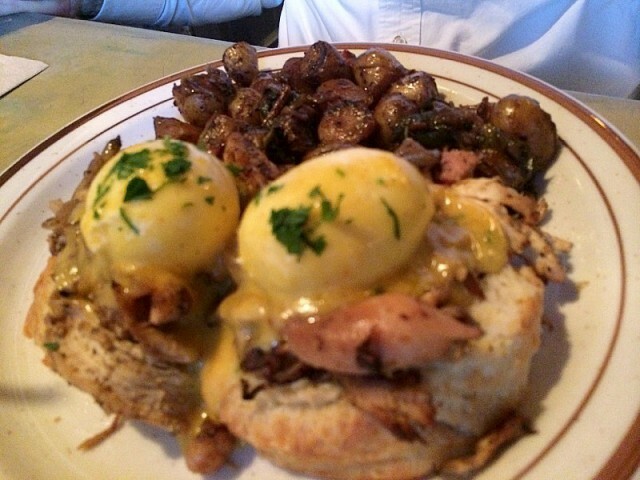 The first pick for the afternoon, the Eggs Benny on biscuits, shredded smoked chicken, smoked ham, hollandaise and home fries — just on another level with the seasoned potatoes, flavored to perfection. 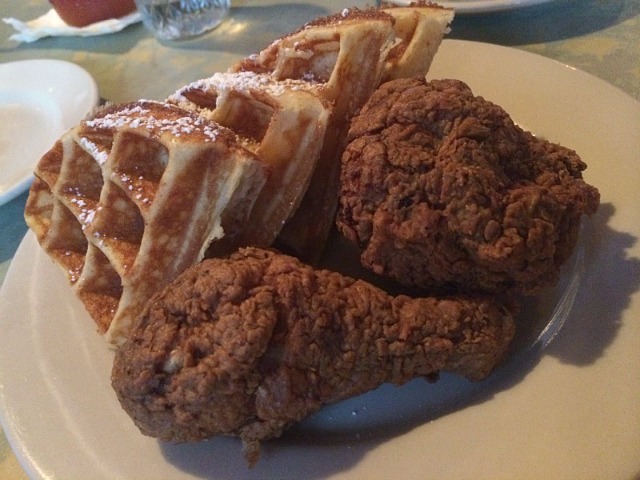 The second pick — which my sister and I decided to split (although we could have always indulged and gone nuts on our own) was the Chicken and Waffles. The dish people search this place out for did not disappoint. Crispy chicken and perfect waffles served with three housemade butters (herbed, orange blossom and raspberry) was the hearty meal we were looking for on a cold rainy day. All in all, it’s definitely worth a trip back for the chill environment and the daily specials alone. 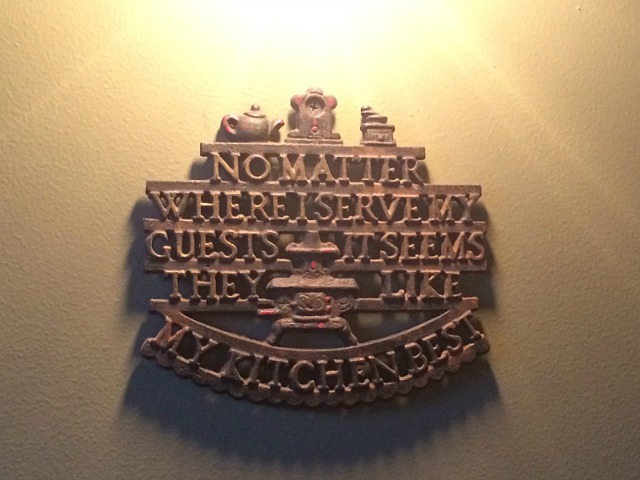 Oh and chicken and waffles… like all day, every day. 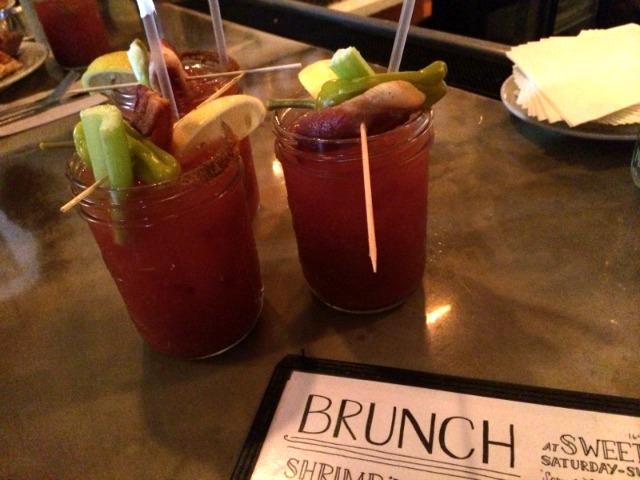 Tags: Bloody Mary, BROOKLYN, BRUNCH, CHICKEN, eggs, Sweet Chick, waffles, WILLIAMSBURG. Bookmark the permalink.